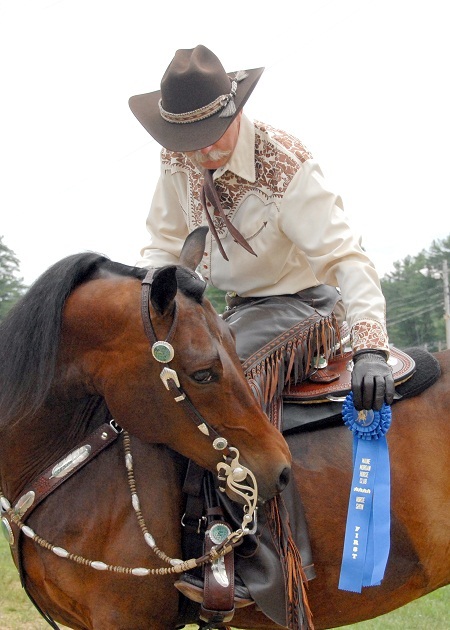 We have qualified staff ready to help train your horse. Elaine King has been training since the 80’s. 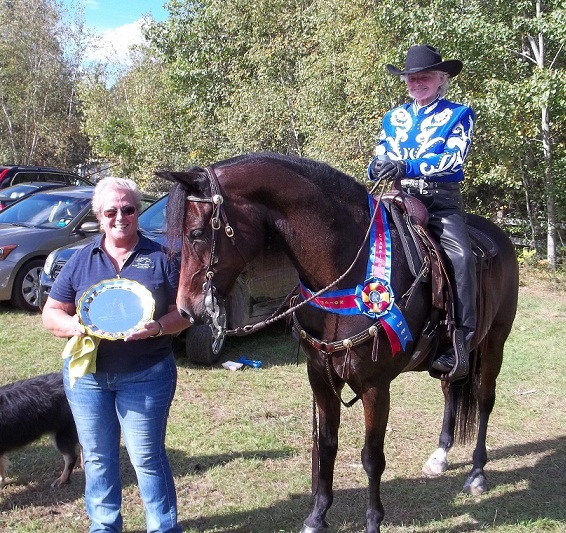 She was head trainer at Ne-Ru Arabians and manager/Trainer at Misty Meadows in New Hampshire working with all breeds, but mostly Arabians and Morgans. 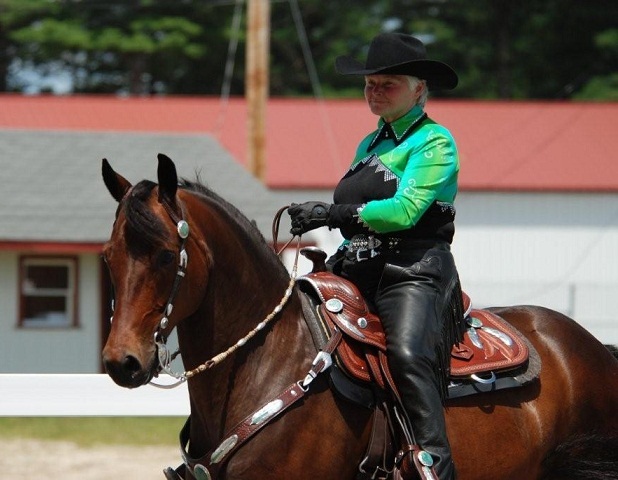 Elaine’s extensive competition record includes: Competed at the Arabian Nationals in Louisville, Kentucky in Dressage, Trail, Show Hack and Costume and has taken many awards at State and Regional Levels. Elaine enjoys working with problem horses and trains using positive reinforcement and lots of praise. Whether you are brushing up on a trained horse or working on a particular problem at hand, the use of Natural Horsemanship and the Round Pen are often used to help achieve the highest degree of training success for your horse. 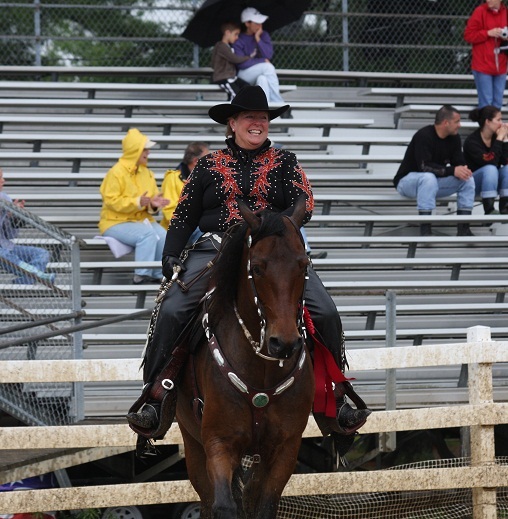 Trick Training and Showing are among some of the many exciting aspects of our program. Helping other horses with ground manners and trailering problems, for example, are some of the many areas we can help improve on to encourage a harmonious relationship between the horse and owner. Please call for training rates. Not a problem. Elaine uses positive reinforcement and lots of praise to gain trust. 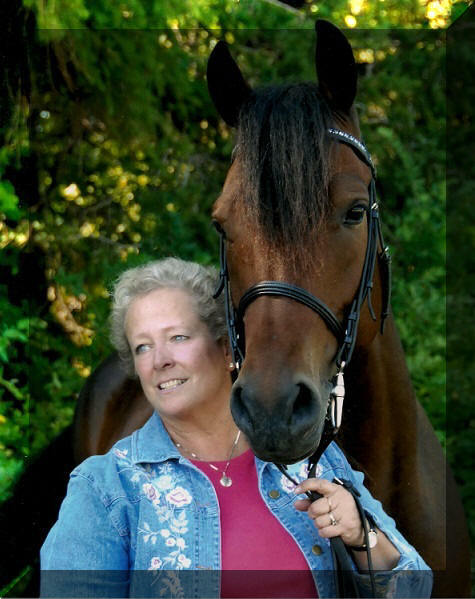 Brushing up on a trained horse or working out a problem, Elaine can show you how Natural Horsemanship can provide the results you desire. Call us to see how we can help you trick train your horse as an exciting way for you to connect with your equine friend. I didn’t think I would ever be able to get my horse to load again. Elaine’s calming and encouraging ways has given me and my horse the ability to load on the trailer with confidence. Now we are free to go anywhere without the stress of loading.